Summer is an excellent time to consider completing outstanding projects around the home. This might also include taking on new home improvements such as upgrading existing fixtures and finishes, painting, or adding a new deck. Here are some ideas to get you started. Ensure you’re not living with a potential fire, health or security risk. Check all smoke alarms are in good working order. Replace faulty smoke alarms and dead batteries. Check for signs of mould on ceilings, walls, and wet areas. Recurring mould can indicate poor ventilation, a damaged roof, or damaged plumbing that is past its use by date. Consider installing new window locks or repairing existing lock fittings that may have come loose. Installing an alarm system with mobile functionality will provide peace of mind and anytime, anywhere access. Exterior motion sensor lighting is another relatively simple yet effective security feature. Most homeowners want more storage space. Consider upgrading your home’s storage by adding custom shelving systems to a wardrobe or garage, or upgrading kitchen cupboards and pantries with space-saving shelving and storage systems. Adding or updating interior and exterior lighting is a great way to update the look and feel of your home. Adding exterior lighting such as entryway and landscape lighting adds instant street appeal to your home. Replacing light bulbs with energy efficient bulbs will help reduce your electricity consumption. By installing “smart” light bulbs that connect to an internet-connected hub, you can control your lighting from your mobile phone or iPad. You might also consider Wi-Fi LED Smart Bulbs that are voice-activated via a smart home device such a Google Home or Apple HomePod. Give your home a new look with a fresh coat of paint – it will not only preserve and protect your home’s exterior, it could also create a whole new look and feel for your home. Internally, an updated colour palette can add a much-needed lift to any room. Consider adding a punch of colour on an accent wall, and repaint chipped or marked architraves and skirting boards to enhance the features of your room. Don’t forget larger painting projects such as exterior walls. Contemporary colour schemes can transfor the look of your home. Making improvements to your home makes good sense in terms of adding value to your investment. A great place to start is by upgrading the kitchen or bathroom. Either room is a good choice and you don’t have to do a complete floor-to-ceiling remodel to enjoy the benefits. In the bathroom replacing the vanity, taps, shower head, towel rails and lighting are relatively easy and quick upgrades. If your budget allows, consider a full renovation. Put some time into the layout of the bathroom, the types of tiles, fittings, bath/shower, toilet, and vanity you want. Be careful to coordinate and limit colours and textures – in most cases, less is more. The same applies in the kitchen. 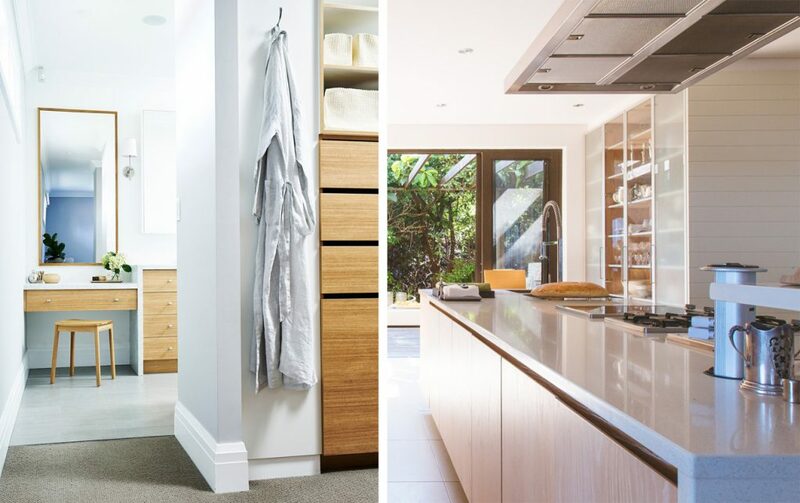 Simple solutions, like updating wall colours, cabinet hardware, replacing old bench tops with stone bench tops, updating the splashback as well as your appliances can totally transform a tired kitchen. Make a list of all the little things around your home that are broken or in need of repair. Individually, small repairs might not seem important. However, if every room has just one thing wrong, those small things will add up to create the impression that your home has been neglected. If you don’t feel comfortable tackling the repairs yourself, Hire A Hubby can make your “to do” list disappear.